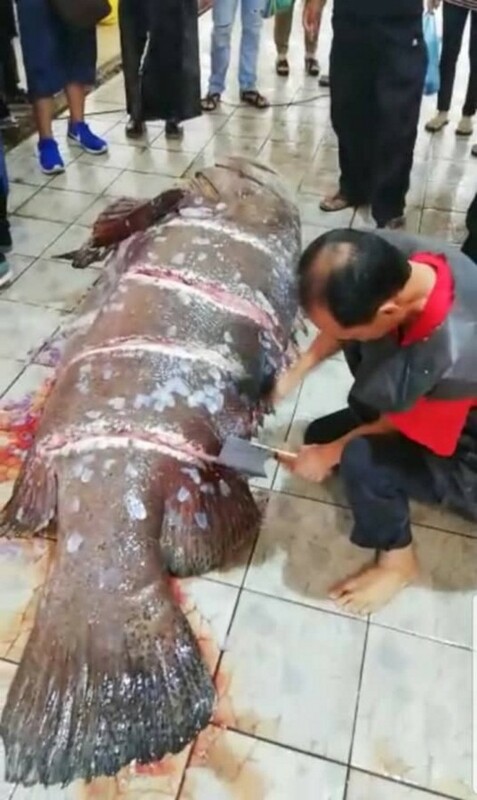 LABUAN: Labuan fisherman has reeled in from the depths of the Semarang waters a monstrous grouper that he described as “a fish of a golden time”, according to the local fishmongers. 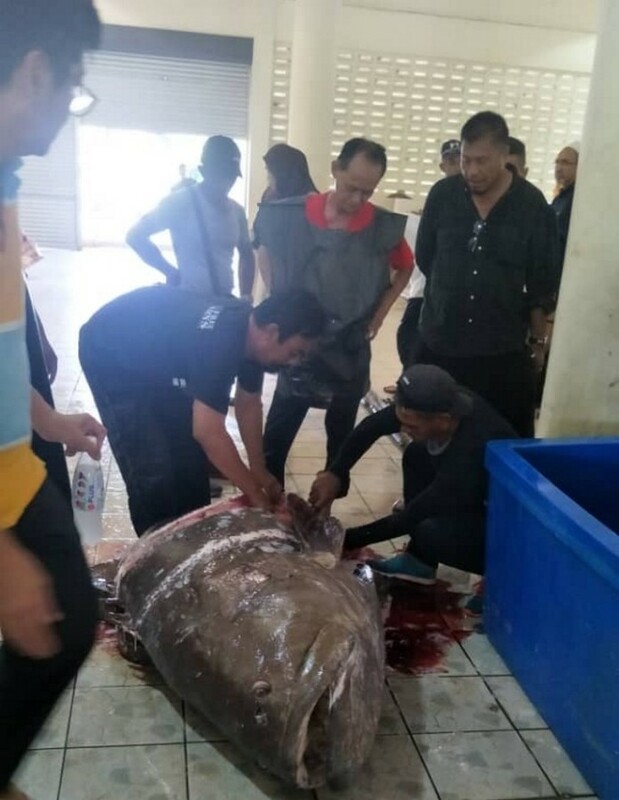 It was a giant fish weighing 241 kg, said one of them, identifying himself as Rosli. He said a local fish noodle taukey (businessman) bought the fish, known locally as keratang, for RM13,255. Rosli said the fisherman, who sells ocean resources to fishmongers here, had landed the grouper with a rod and reel after a 30-minute battle in the waters near the Sumandak Charlie oil rig. The fisherman brought his catch to the Labuan wet market on Wednesday. The Semarang waters near Labuan are popular for deep sea fishing.